Maj. Gen. Tamir Hayman says Iraq ‘under growing influence’ of Iranian foreign operatives, compares it to Tehran intervention in Syria, which gave Islamic Republic a foothold close to Israeli border. Iraq, which does not share a border with Israel, is technically its enemy but was last an open threat in the 1991 Gulf War. 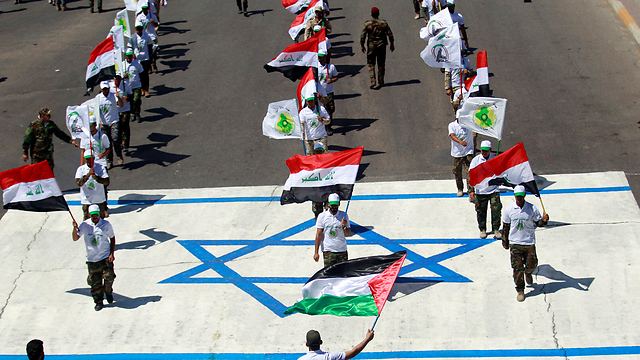 After a U.S.-led invasion in 2003 toppled Iraqi dictator Saddam Hussein, a Sunni Muslim, Israel has worried that the country’s Shi’ite majority could tilt to Tehran. “Iraq is under growing influence of the (covert Iranian foreign operations unit) Qods Force and Iran,” Major-General Tamir Hayman, the chief of Israeli military intelligence, told a conference in Tel Aviv. Citing Iranian, Iraqi and Western sources, Reuters reported in August that Iran had transferred short-range ballistic missils to Shi’ite allies in Iraq. Baghdad denied the findings. Hayman predicted 2019 would bring “significant change” to Syria, whose President Bashar Assad has beaten back rebels with the help of Russia, Iran and Lebanese Hezbollah reinforcements, and where Trump this month ordered a pullout of U.S. troops. “This presence of Iran, with Syria’s return to stabilisation under a Russian umbrella, is something we are watching closely,” he said. Israel has also been monitoring Iranian conduct since Trump quit the 2015 nuclear deal with Tehran in May and reimposed U.S. sanctions. The deal placed caps on nuclear projects with bomb-making potential, though Iran denied having such designs. Trump, with Israeli support, deemed the caps insufficient. This entry was posted on January 1, 2019 at 5:10 PM and is filed under Uncategorized. You can subscribe via RSS 2.0 feed to this post's comments. You can skip to the end and leave a response. Pinging is currently not allowed.